Required Qualification : Candidate must passed 10th Standard or equivalent or ITI from any recognized institute by NCVT/SCVT. Age Limit : 18 – 31 years as before apply. Age relaxation will be provide for various categories as per govt rules. 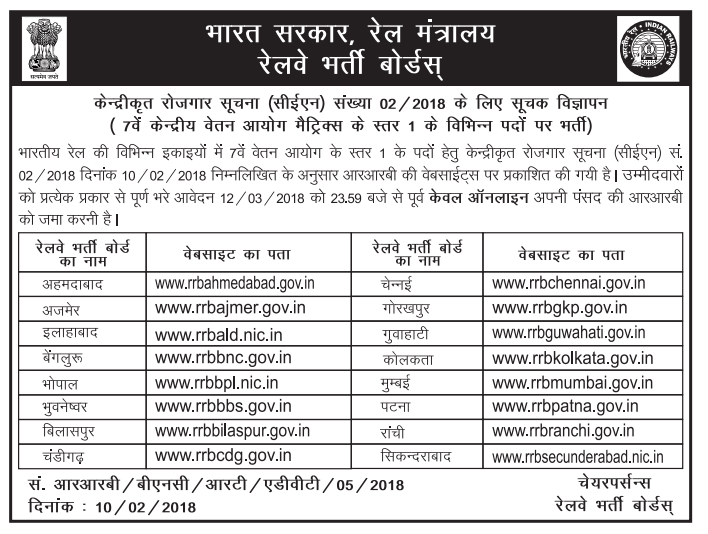 Eligible candidates should have to apply online through official website www.rrbahmedabad.gov.in between 10.02.2018 – 12.03.2018. Ensure your eligibility through official notification before apply. To apply online for relevant state, visit relevant official website as given in official notification below.